Pleasantly stuffed and awaiting Mike Yarwood, tragedy struck: a local transmitter fault. Thinking fast, Dad slotted in tape 17. "I ordered a 9 foot tree." 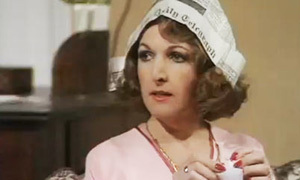 Mum's Margo was uncanny. Dad became Jerry leaving me and Trish as Tom and Barbara. We knew all the lines. That's how it started. Come 8pm this Christmas Day, we'll watch it with our kids on Dad's antique Sony. Trish and me now play the Leadbetters.